It doesn’t matter how many times you visit Ibiza: there will always be something new to discover. On this article we are giving you five appealing recommendations, whether you are a first time traveller or not, but you just want to see more than just the typical things pointed out on every route. If you feel identified by this, check our car rental offers for Ibiza, book your favourite model today and have a drive along the island to discover these hidden little treasures. Many beaches in Ibiza have beautiful fishermen’s huts on their shores, these are like lifted small houses to keep fishermen’s small boats and tools safe. These traditional Ibizan boats are known as “llaüt”. 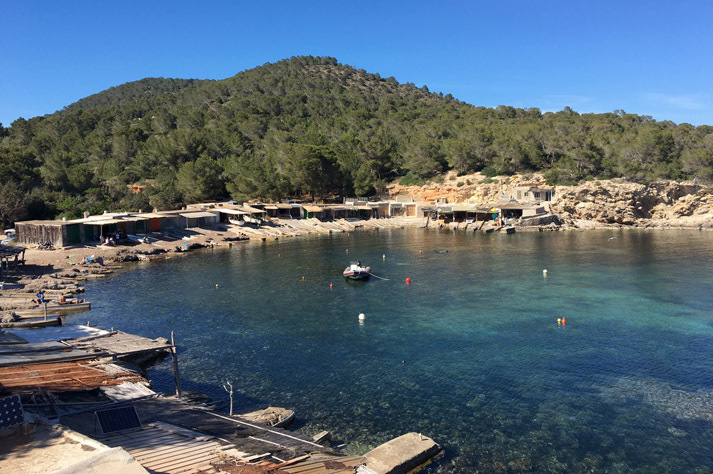 Nowadays, there are over 1,500 units and some have been declared an Asset of Cultural Interest, such as the ones in Sa Caleta in Sant Josep de sa Talaia or the one from Sa Punta des Molí in San Antonio. You will also spot them at cala Gració, cala Salada, cala d´Hort, Pou des Lleó and cala Benirràs. When you go out hiking in certain areas of Ibiza it’s quite easy to find some wells that were built long ago on the island. They are a symbol of prosperity and, around them, to this day locals still celebrate traditional festivals. We recommend that you visit them while these festivities take place and they are known as “ballades de pou” (well dances), such as the ones that take place in October for the fiestas of Sant Rafel at Pou d’en Micolau (Micolau well) and Pou de Forada (Forada well). 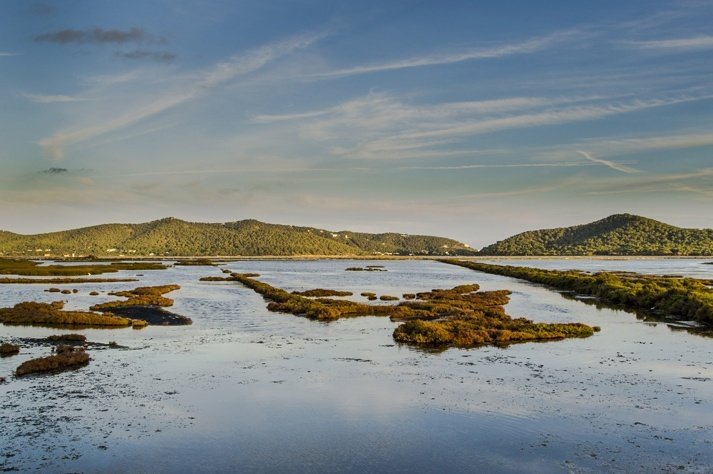 Ses Salines’ wetlands were already a precious resource exploited by Carthaginians in the 5th Century b.C., it’s a natural treasure that was declared Natural Park in 2001. We recommend you see the Ses Salines Visitor Centre –which stands at the rectory house of Sant Francesc de s’Estany church- and that you don’t miss out on viewing the flamingos that live at the ponds from July until October. Between Sant Rafel and Sant Agnès you will find a small farming valley that still keeps a watering system built during the Arabic era. It includes streams, channels, watermills, cisterns, etc. and its water is from Es Broll’s natural spring, which is the island’s most important aquifer. It’s an Arabic engineering treasure that is unknown to most tourists that visit the island. You can drive your rental car to this quiet place by following the indicated route that begins at the road between Santa Agnès and Sant Mateu. 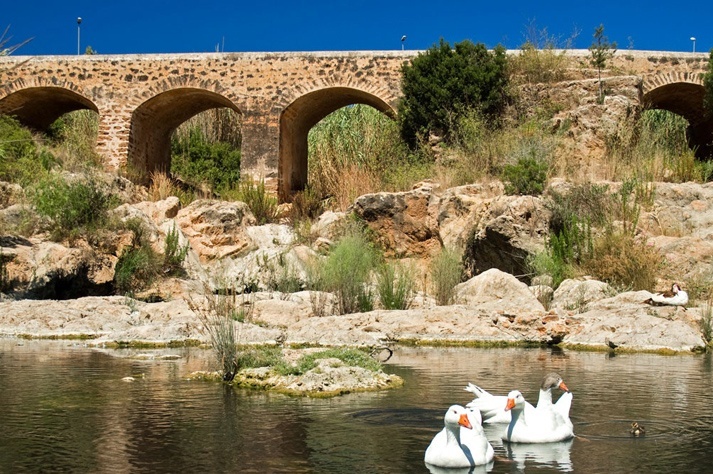 The only river in the Balearic Islands is located on the island of Ibiza and it is about 15 km in length. There is a nice 3km route for hikers to explore which passes by the River’s Visitor Centre, located inside an old flour mill. 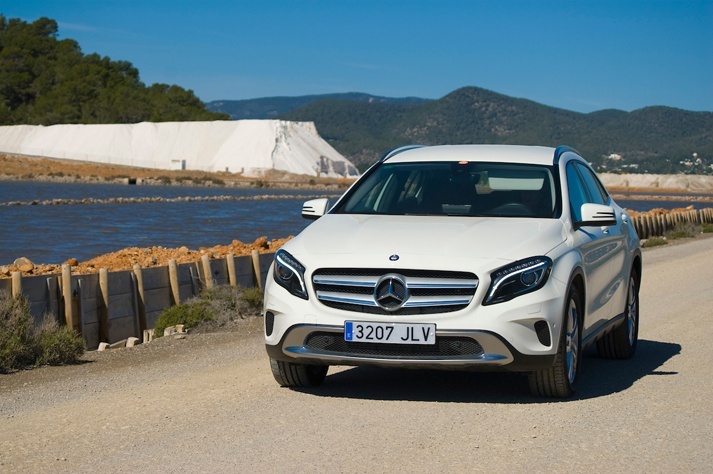 Do you want to rent a Mercedes GLA for your holidays in Ibiza? 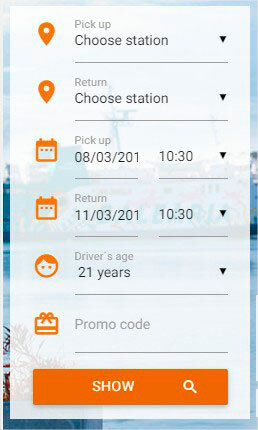 Check our rates for this high-end model and book it today. This entry was posted in Essential Ibiza and tagged spring, What to see, winter. Bookmark the permalink.